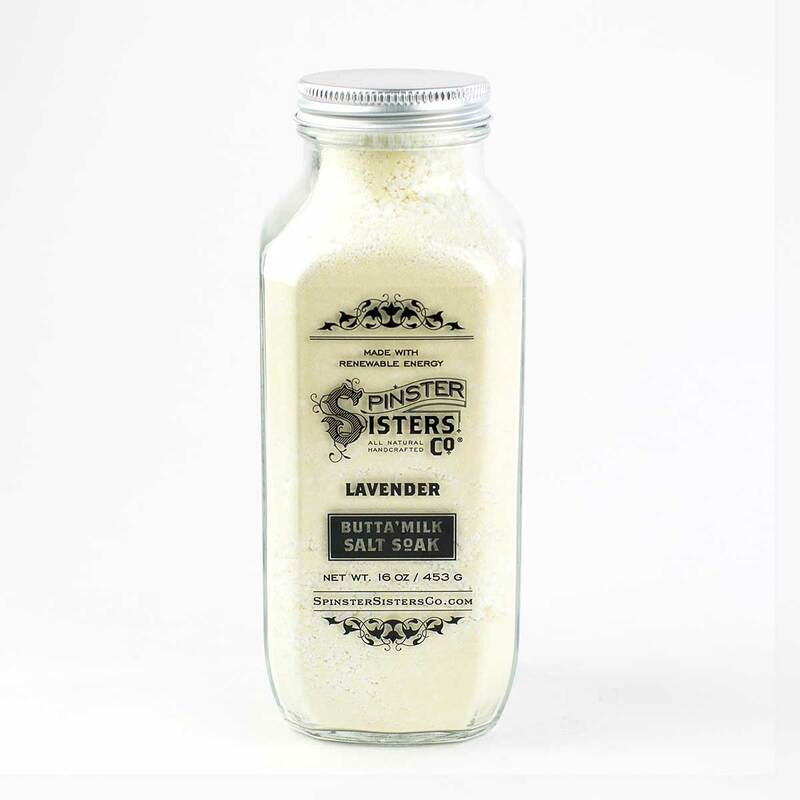 Butta'Milk Salt Soak | Soaks | Spinster Sisters Co.
Our Butta'Milk Salt Soaks are made with only the finest natural ingredients -- plus, bathing in milk is excellent for skin tone. Buttermilk powder gently removes dead skin cells as the lactic acid in the milk evens out skin tone and texture, and epsom salts replenish important minerals. A bath with Butta'Milk Salt Soak will restore, renew, and moisturize your skin. As a bonus, it can even be mixed into a paste with a bit of water to make a facial scrub. Disclaimer: This product is not intended to diagnose, treat cure, or prevent any disease. Sunburn Alert: Lactic acid may make your skin more sensitive to the sun. Use adequate sunburn protection. Buttermilk Powder, Epsom Salt, fair-trade Theobroma Cacao (Cocoa) Seed Butter, fair-trade Butyrospermum Parkii (Shea Butter) Fruit, and Essential Oil (EO) or Fragrance Oil (FR) [scent options note if EO or FR is used]. Bath: Set the mood with candles and relaxing music. Fill your tub with warm water, pour in about 4 oz. 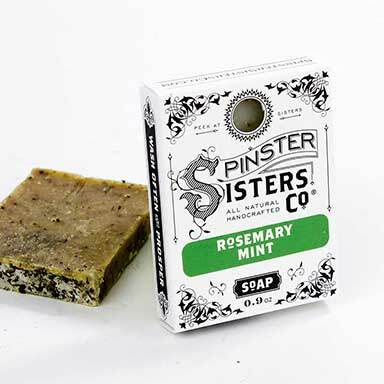 of Butta'Milk Salt Soak, breath in the aroma, and enjoy your bath. 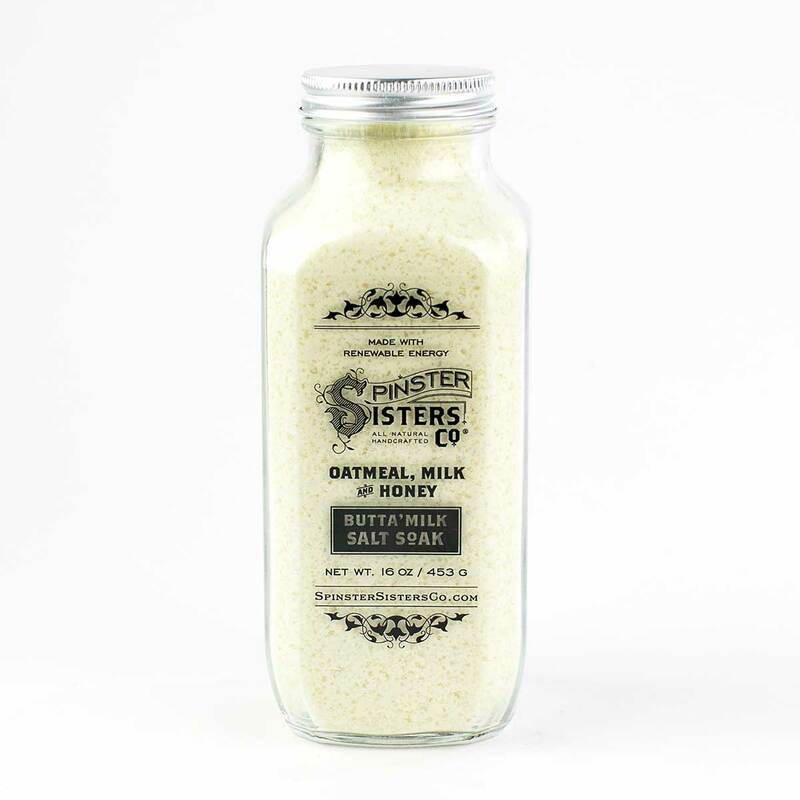 Mani/Pedi: Pour an ounce of Butta'Milk Salt Soak into your foot bath hand soak to soften your skin. Facial: Mix Butta'Milk Salt Soak with a small amount of water into a paste and rub gently on your face for an exfoliating scrub.